The macaw is a parrot whose cap, forehead, sides of the neck, nape and coat are red and median coverts, scapulars and tertiary are green. Its back, rump and upper tail are blue. 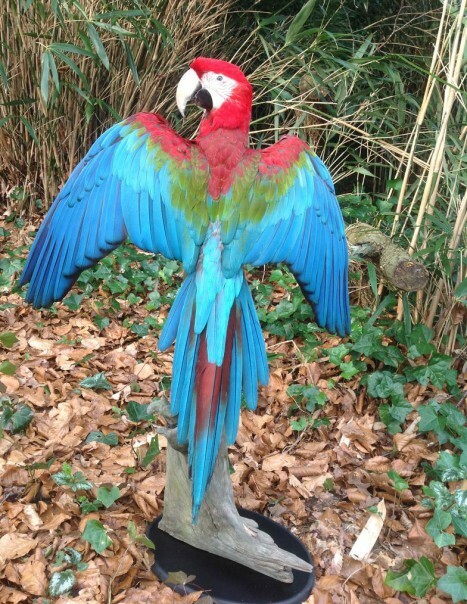 The macaw was born in the rainforests of South America, particularly in rainfed areas that are not generally infested by waters as it is not too fond of wetland habitats. It appreciates the stretches of tall trees and rocky cliffs that form its nesting sites where the female can hatch its eggs for a period of 27 days. This granivorous and frugivorous parrot is endemic to Panama, Colombia, Venezuela, Bolivia, Brazil, southern Mexico, Paraguay and northern Argentina. Given the wide scope of its vital territory, the ara chloropterus is currently not considered a species in danger of extinction but may become so, in futher years, due to its habitat degradation and the frequent catches he had suffered for many years. 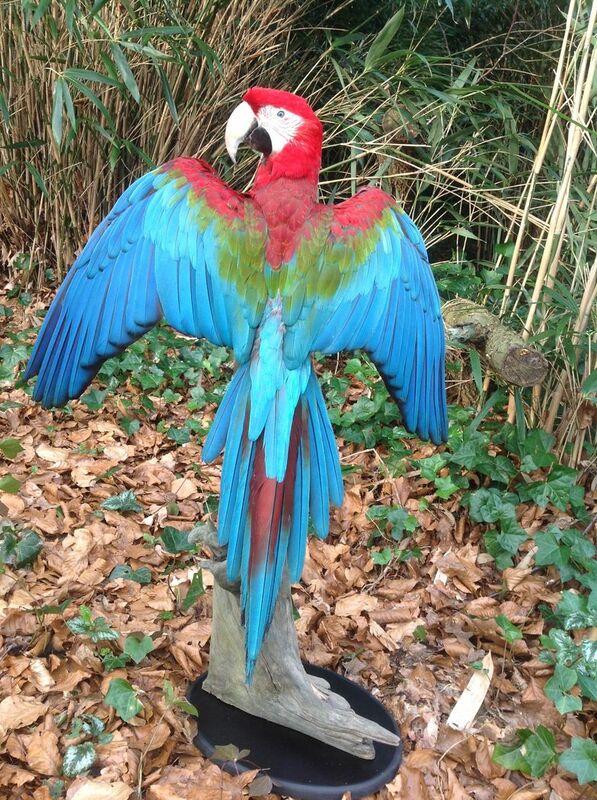 Also find in our catalog our others stuffed macaws.